It kinda looks like riding season is finally here. On Monday, the Airhead group met at the Howling Dog for the first time this year. And there must’ve been 20 bikes out front including many non-Airheads. On Tuesday, I went with Jed to Delta to pick up his warranty replacement sidecar wheel. The original had split between the spokes apparently from improper construction at the factory. Today, we moved the tire from the split wheel to the new wheel and, like many things on the Ural, you spend time trying to figure things out as there really isn’t a repair manual. Some of the pieces of the new wheel were different from the old wheel. Plus, we switched out the stock (i.e. poor quality) button head screws for some good socket head screws. It's now Thursday and just like NWS predicted, it's 72°F and feels really hot. I stopped by my office and decided to stay for a while enjoying the air conditioning. Plus, I need to pick up my son to look at some housing in a couple of hours. This morning, Jed and I finished up upgrading the bolts in his Ural spare. I needed to drill out and extract one of the bolts as the shallow allen button head bolts stripped out. No problem getting it out. Not many bikes here in the motorcycle parking spaces at the Butrovich Bldg. Many of those who rode have retired, moved on to other jobs, or just don't ride anymore. It feels too warm unless you are moving. And there is construction with pilot cars along Farmers Loop Rd. 50s or 60s all the time would be ideal. There is a lot of similarity between an old VW especially a bus and the Ural. 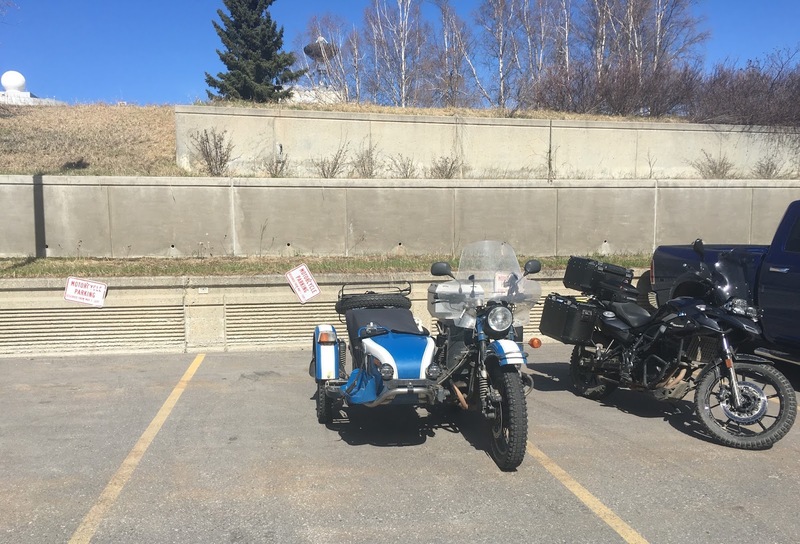 They both have the same comfortable cruising speed though you can't simply use a brick as a cruise control on a Ural. Every time I see a Ural I think, "I want one". And every time I read about another interesting 'experience' had by an owner trying to do something basic I think, "Why would I want one?". And, btw, could you send some of that warmth this way? 38F here this morning with a stiff North wind. Brrrr. The only other bike I can compare it to was the BMW airhead. Personally, I like the Ural a lot more than the BMW. As far as repairability, there is little that the anyone mechanically inclined can't do on the Ural. Enjoy your riding, Richard. Season is in full force over here now, alas it seems to become more and more crowded even on my favourite byways. Riding season really is finally here. I saw a lot of bikes while running around this afternoon. Even with rain on the horizon. I guess everyone has cabin fever and is ready for the riding season. 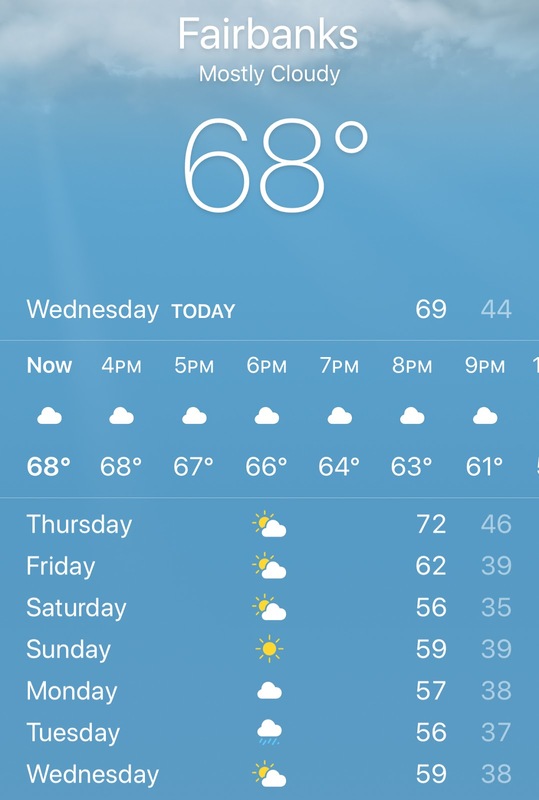 I am with you that 50 - 60 temps all the time would be just perfect! I think that there were a lot of folks anxious to get on the road.